The sun has come out, and this perfect flying weather means more drones in the air, more chance to capture that perfect shot, or just take your drone for a spin after work! Yet even when flown by the most experienced pilots, accidents can happen, and when they do, the Drone Doctor is here to help get your aircraft back up in the air in no time. Within a few days they’ll both be leaving us looking and performing as good as new, and test flown by our expert engineers. If you’ve crashed your quadcopter, or just looking for a service to ensure it’s in tip top condition, get in touch with us here. 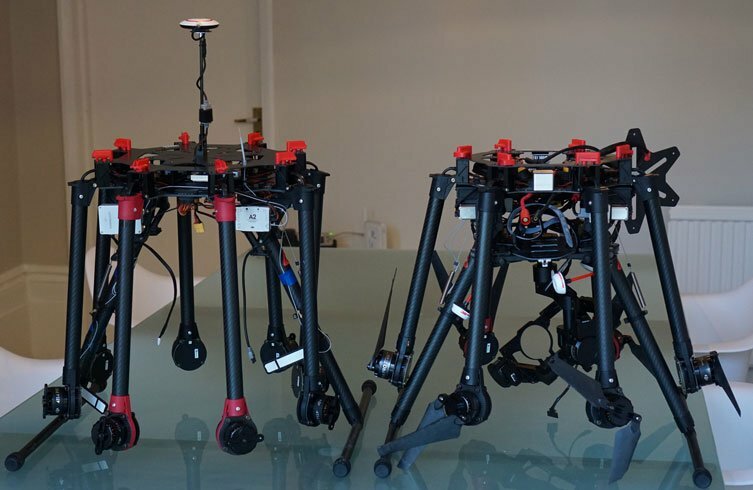 We can repair a wide range of aircraft and being the UK DJI Recommended Repair Centre means we have in-depth, specialist knowledge that can’t be beaten. https://www.dronedoctor.co.uk/wp-content/uploads/2016/03/DSC06801.jpg 490 753 Esme Yules https://www.dronedoctor.co.uk/wp-content/uploads/2018/10/dronedoctor-logo-wp-2.png Esme Yules2016-03-17 15:29:522018-09-14 15:36:24It's Crashing Season! !